I absolutely love the tune to If You Could Hie to Kolob. 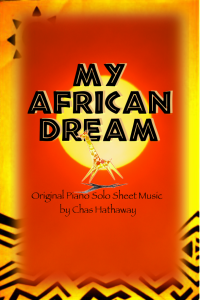 When I came up with my piano solo arrangement, I was blown away by all of your kindness and support. 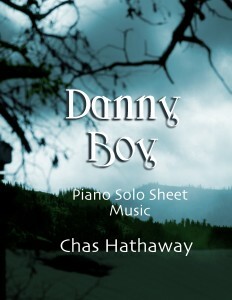 To date, it’s my bestselling sheet music. The lyrics repeat sometimes and shuffle the order, but that’s basically it. I needed some inspiration last summer for one of the cultural/percussion pieces I wanted to create, and the kids wanted to go out and run in the sprinklers, so I decided to build the piece around their adventure in the sprinklers. So I took my recording stuff outside and recorded the drums while they ran through the sprinklers. I even kept their playful squeals in and used them as percussion. It’s not as jolly sounding as you would expect from a tune themed around kids playing happily in the yard, but it was a fun piece to make. What do you think? I knew the old pump organ had just been loaned to us. Someday the owner would want it back. But in those Depression days it seemed so wonderful to have music in our home that I didn’t even want to think of the future. I just wanted to enjoy it. Each morning as I dusted the curves and edges of the organ I marveled at the beauty of the wood. I liked to let my hand move along the curved part that covered the keys. I liked it best when this part was forlded back, when I could see fingers on the keyboard, and listen to the deep mellow tones. It was then I’d do my dreaming of the time when I’d be all grown up. It was then I’d see myself sitting there playing. I’d watch Papa pump the big pedals with his feet to get the music started. He’d keep pumping steadily as he played, and the room would be filled with his music. “I’ve just got to learn how,” I told Papa. He told me about low C, and hight C, had me sound the notes over and over. Then I played them while he did the pumping. It was hard to reach from the low note to the high note with my small hand, but it was fun to let my fingers run up and down the keys. It was like running up and down a hill. Papa always made learning fun. Papa said it was a good idea to learn to play music by ear, too. That way, he said, you didn’t need to worry if someone asked you to play, and you hadn’t brought your music along, or if you didn’t happen to have the money to buy it. Papa could play really well. He could just listen to a song and then sit down and play it. Even if I just sang a school song once, Papa could play it. It was like magic. One day I was hurrying home from school, humming a song we had learned, so I could remember it long enough for him to play it on the organ. I was almost home when I noticed the Mover’s Truck at our front door. I couldn’t believe it would stop at our house. We weren’t moving anywhere. But there it was, right against the door. Then I knew. There could only be one reason. The time was up. It was like I’d been hit in the gut. It was hard to breathe, and all I could do was stand and stare as they carried out the organ. I watched Papa helping them. Then I knew I couldn’t stand it yet, going in that big bare room with all the beauty gone. Now I knew I’d never learn. Papa wouldn’t ever get enough money to buy us an organ. He was lucky to just get enough work to get food on our table. It wasn’t his fault. There just wasn’t any work to get. Papa found me there a little later. He didn’t say anything. He just dropped down beside me on the grass. I felt a tear rolling down my cheek. I’d decided to ignore it, but papa took out his big red handkerchief and wiped the tear away. I’d never seen Papa look so sad. His tanned face looked thinner, older somehow. I noticed lines on his forehead, and by his lips that tried not to tremble. His blue eyes didn’t have any twinkle today. They were just red-edged and filled with water. A tear slipped down his own cheek but he just brushed it quickly away with the back of his hand, as if he didn’t want me to see it. It was nice to sit with Papa. You didn’t have to worry about talking. You could both look at the green leaves dancing there over your head in the gentle breeze. You could look at the patterns of shadows they made all around you. It was nice hearing the humming of the bees and the chirping of the birds. Both of you, not talking, just sitting there listening. Then quite suddenly, from further away there came the clear sweet tone of a Meadow Lark’s song. I turned to look at Papa, and his face had brightened. His eyes looked almost happy again and I thought he was going to smile. Instead, his lips puckered and formed into a whistling shape. I wondered why Papa would stop to whistle at a time like this. Then I heard the clear tone, the perfect imitation of the bird’s call. I knew what would happen now. The bird answered him. They always did. So Papa whistled again to the bird, and thi time the answer was closer – close enough so we could see him. The bird hopped a few steps, tipped his head as if to listen. Then quite suddenly he flipped his wings and took off high into the blue sky. I could see a puzzled look in Papa’s eyes, and I felt like a traitor. I knew I should feel thankful for my voice, and I was, but right now it didn’t seem like anything too special, not like being able to play an organ, anyway. “How?” I asked, almost afraid to hope. As he talked, I watched his lips. I felt my own taking shape, puckering. It was a strange feeling. I listened as he demonstrated the sounds. He urged me to try it once. Cautiously I did try, puckering my lips, and feeling the vibrations across my lips as a buzzing blurred sound fell from my mouth. I felt like crying, I was so disappointed. The shadows were growing longer as we walked toward the house that day. I remember the sun shining through the tree branches was low in the west. I remember too, the long hours of practice until I too, could whistle the way I wanted to. But most of all I remember the Papa who knew how to comfort a broken-hearted little girl, and how he gave her once again, the gift of music. Nah. Just ignore that thought. As you can hear in the recording from day one, I’m not so concerned about the quality of my improv recordings. I also decided to say I could do whatever instrument I feel like on the day I do it. Anyway… enjoy!